MT and AT Sport Pedals are constructed of clear-coated anodized aluminum with rubber foot inserts. 2009 - 2013 HondaFIT. GENUINE FACTORY OEM. We make every effort to represent what these parts are and what vehicles they fit. 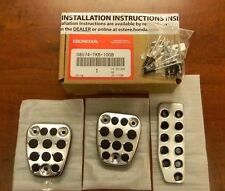 100% Genuine OEM Honda 3 piece aluminum non slip manual transmission only sport pedals. Constructed of clear-coated anodized aluminum w/ rubber foot inserts. Note: Rivet tool required. Gas pedal will have to be drilled. Applications: 2009-2013 Honda Fit 1997-2001 Honda CRV Disclaimers: Images in most cases are for display purposes only. Please read carefully about the product before buying, and contact us if you have any questions. **RETURNS POLICY** Inline Four understands that not every purchase is a good fit for every customer. In the event that you would like to return your purchase, we allow returns that are processed within 30 days of purchase. 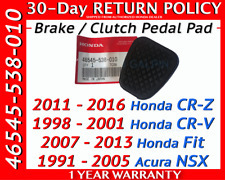 Please contact us for a RMA # and our return shipping address. Return shipping and handling is the responsibility of the buyer. The brake utilizies rubber inserts to ensure grip under any weather conditions. The Fit sport pedals combine the modern elegance of brushed stainless steel with traditional rubber grip to blend beauty with function. Style(s): Pedal. Model: Honda Fit 2nd. The AT Sport Pedals are constructed of clear-coated anodized. aluminum with rubber foot inserts. They enhance the look and driving. Year: 2009-2012. 07-08 HONDA FIT CLUTCH AND BRAKE PEDALS. 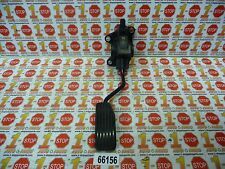 YOU CAN REUSE YOUR AUTO BRAKE PEDAL SENSOR. BOTH PEDALS WERE REMOVED FROM A 2008 HONDA FIT WITH MANUAL TRANSMISSION THAT I AM PARTING OUT. VERY GOOD USED CONDITION. 09-13 Honda Fit / 97-01 Honda CR-V. MATERIAL Stainless Steel Rubber. RMA number required. COLOR As shown. STYLE Factory Style. NOTE No tool, No Drilling Required. This is an OEM part. Make sure the part fits the year, make and model of your car before you buy. It is your responsibility to make sure the part is the exact one you need and is right for your car. Fix the armrest mount to your seat by screw given. Fix the armrest to the parts from the outside, and fix the screw. Surface material: Soft PU Leather. Application: Universal for vehicle seat. Open the cover of the seat back. 09-13 Honda Fit / 97-01 Honda CR-V. MATERIAL Stainless Steel Rubber. RMA number required. COLOR As shown. NOTE No tool, No Drilling Required. Honda Fit 6MT EX 2015, 2016 Honda Fit 6MT EXL 2015, 2016 Honda Fit 6MT EXLN 2015, 2016 Honda Fit 6MT LX 2015, 2016 Honda Fit CVT EX 2015, 2016 Honda Fit CVT EXL 2015, 2016 Honda Fit CVT EXLN 2015, 2016 Honda Fit CVT LX 2015, 2016 Honda HR-V 6MT EX 2016 Honda HR-V 6MT LX 2016 Honda HR-V CVT EX 2016 Honda HR-V CVT EX4 2016 Honda HR-V CVT EXL4N 2016 Honda HR-V CVT EXLN 2016 Honda HR-V CVT LX 2016 Honda HR-V CVT LX4 2016. Item : Gas Pedal. Car manufacturer : Honda. All parts are OEM and are used. Car model : Fit. THIS IS Honda Fit Brake Pedal. Will fit and work in your Honda Fit 2015-2016. The part listed is used, but in good condition. Alaska Puerto Rico and Hawaii are not included. 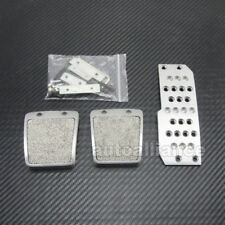 For HONDA FIT 2nd Pedal Set AT. For - HONDA FIT 2nd -200 9 ~ 2012 - Hatchback. The AT Sport Pedals are constructed of clear-coated anodized aluminum with rubber foot inserts. They enhance the look and driving experience while adding extra foot grip during braking and shifting. 2008 Honda Fit. 2007-2008 Honda Fit. · NO checks. · cash in person. · Most major credit cards. YEAR: 2015. PART: CLUTCH SLAVE CYLINDER. MAKE: HONDA. MODEL: FIT. Armrest Pad Feature 2 X Front seat Cover 1 X Back seat 1PC Armrest pad. Car Seat Cover Feature Universal for all kinds of car. Good leather - composite sponge inside, comfortable like sitting on the couch, enjoy luxury riding. 2017 Honda Civic Type R (Does not fit RHD vehicles). 2012-2017 Honda Civic (Does not fit RHD vehicles). 2012-2017 Honda Civic Si (Does not fit RHD vehicles). 2014-2017 Honda Fit (Does not fit RHD vehicles). Honda Fit 5AT FIT 2009, 2010 Honda Fit 5AT FIT-S 2009, 2010 Honda Fit 5AT FIT-SN 2009, 2010 Honda Fit 5AT FITSN 2009, 2010 Honda Fit 5AT SPORT 2011 Honda Fit 5AT SPRTN 2011 Honda Fit 5MT FIT 2009, 2010 Honda Fit 5MT FIT-S 2009, 2010 Honda Fit 5MT FIT-SN 2009, 2010 Honda Fit 5MT FITSN 2009, 2010 Honda Fit 5MT SPORT 2011 Honda Insight CVT DX 2011 Honda Insight CVT EX 2010, 2011 Honda Insight CVT EXN 2010, 2011 Honda Insight CVT LX 2010, 2011. Included: One Pc Carpet plate with screws. Size: 300mm 200mm 4mm. Material: High Quality Aluminum Alloy Rubber. 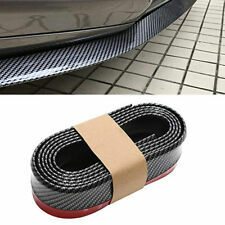 Function: It is easy to install to reinforce the driving position slip and it make your car more charming. The AT Sport Pedals are constructed of clear-coated anodized aluminum with rubber foot inserts. They enhance the look and driving experience while adding extra foot grip during braking and shifting. This is a used OEM part. Make sure the part fits the year, make and model of your car before you buy. It is your responsibility to make sure the part is the exact one you need and is right for your car. GenuineFor Honda Fit 2nd Jazz Sport Pedals AT GD3. Include 1 Set Honda Fit Jazz Pedals. The AT Sport Pedals are constructed of clear-coated anodized aluminum with rubber foot inserts. They enhance the look and driving experience while adding extra foot grip during braking and shifting. Gas Pedal Assembly pulled off of a 2016 Honda Fit. mileage: 23,456. Fits: 2015-2016 Honda Fit. Up for sale is a genuine factory OEM. Honda Fit CVT EX 2015, 2016 Honda Fit CVT EXL 2015, 2016 Honda Fit CVT EXLN 2015, 2016 Honda Fit CVT LX 2015, 2016. Part/Notes: BRAKE PEDAL. -Life is life and issues arise; people make mistakes. Model: HONDA FIT. Part Grade Abbreviations. cc = Credit Card size units. C = Greater than 200k miles. B = Greater than 60k miles and less than or equal to 200k miles but greater than 15k miles per year. 2002-2006 Acura RSX. 1993-1997 Honda Del Sol. 1984-2005 Honda Civic. 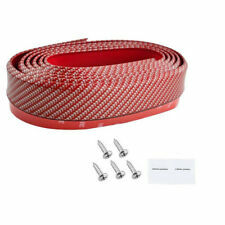 Universal Fit For Honda /Acura Vehicles With Manual Transmission. 2007-2011 Honda Fit. 1984-1991 Honda CRX. 1992-2001 Honda Prelude. Here We Have a gas pedal assembly for a. May Fit Others. 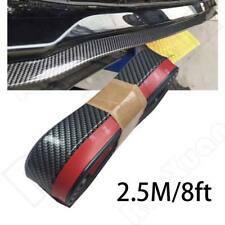 Armrest pad car cushion mat covers interior parts 1 PC. 1Pcs car armrests pad. Special Features: Car Neck Support Pillow. Car Make: universal. HONDA FIT PEDALS 2nd Jazz Sport. 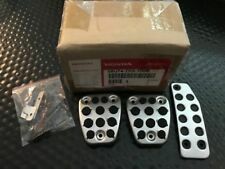 1 Set Honda Fit Jazz Pedals. Feature The AT Sport Pedals are constructed of clear-coated anodized aluminum with rubber foot inserts. They enhance the look and driving experience while adding extra foot grip during braking and shifting. Apart from improving the appearance of your car the pedals also improve pedal grip, and. Give your Honda Fit/Jazz a touch of style with this Manual Transmission Pedal Kit! This kit includes: manual shift (clutch). Make sure this part will fit your car: year, make and model. Fit For Honda Civic 10th 2016 2017 2018,Automatic Model,Left Hand Drive Only Condition: 100% Brand New In Box Color: Polished Silver Heavy duty brushed aluminum construction with non-slip studs on the pedal surface preventing from slipping-off. Easy to install. No Tool is requested.Take off the old one and put this to fit is okay. Integra RSX DC5. Brake pedal approx: 13.3cm x 4.9cm. Accelerator / Clutch Pedal approx: 7.2cm x 6.5cm. 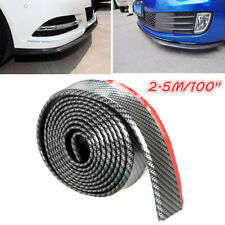 Universal Fit For Honda /Acura Vehicles With Automatic transmission Honda. Acura Automatic. 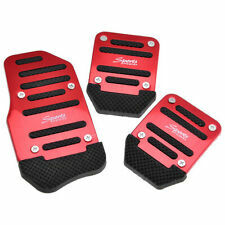 1997-2004 CR-V.
3PCS Car Non-slip Aluminum Alloy Accelerator Pedal Foot Pedals Pad Cover For Brake Clutch Universal. 3PCS Car Aluminum Foot Pedals. Manual gear size: (throttle) 140 62 8 mm (brake, clutch) 75 69 8 mm. 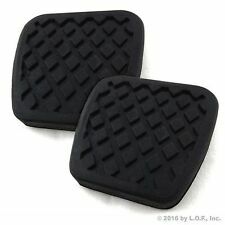 Brake / Clutch Pedal Pads. CR-Z Manual Transmission Only. CR-V Manual Transmission Only. FIT Manual Transmission Only. NSX Manual Transmission Only. 2011 - 2016 Honda. 1998 - 2001 Honda. GENUINE FACTORY OEM. 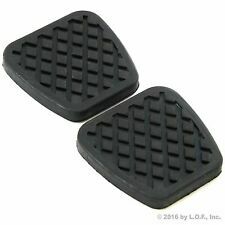 Clutch Pedal Pad Size: appr.8.1 5cm. 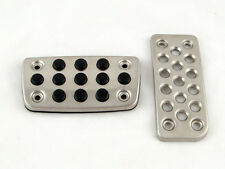 Brake Pedal Pad Size: appr.8.1 5cm. 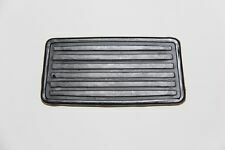 Accelerator Pedal Pad Size: appr.11.3 5.6cm. 1 3-Piece Pedal Pad Kit. Easy to install the manual gears brakes, clutch, fuel the location of the pedals.